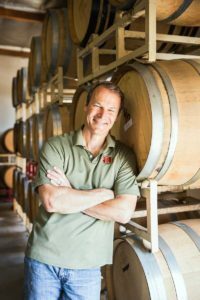 Pier City was started out of Four Brix Winery which is owned and operated by three couples that are great friends. We produce wines based upon our four favorite grape growing regions: Italy, France, Spain and California. The word “Brix” is a term for measurement of sugar in grapes; therefore Four Brix equals four sweet spots for great wine! With a total production of around 1,200 cases, these wines are very limited and in high demand. Pier City is our latest project and we are excited about the take on hard ciders we are producing. Our wine/cider-maker, Gary Stewart, has been working on this project for several years. We love the taste and think you will also. When we aren’t making wine or cider, we like to hang out with a glass of wine, listening to music and eating great food. Our favorite place to hang out is at the BrixHouse- our tasting room. But we don’t like to hang out alone, so we make sure there is always something going on at the BrixHouse. For Club members, affectionately referred to as “BrixHeads”, there are exciting Pick Up Parties at least twice annually. Depending on the time of year, you might be able to attend a Concert in the Cellar, Foodie Friday, Dinner in the Tasting Lounge, BBQ Pizza Nights, a Blending Party or maybe just relax in the BrixHouse with a glass of wine or cider, listening to some classic rock. Be sure to get on the email list for up-to-date announcements and events.